Here comes your friendly neighborhood Spider-Man! 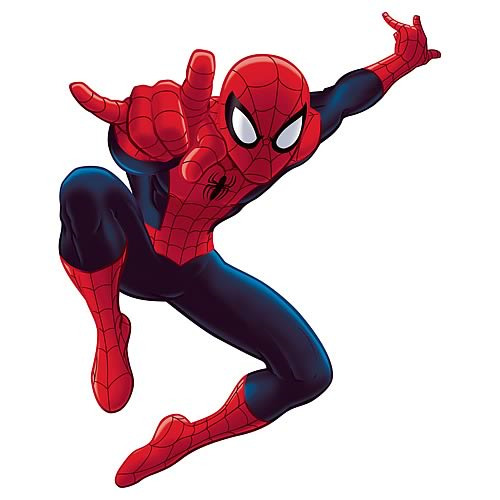 This Ultimate Spider-Man Cartoon Peel and Stick Giant Wall Decal is guaranteed to thrill the webslinger's fans of all ages. Great for the bedroom, media room, playroom... or even the office! Everyone's favorite wall crawler will create a "wow" factor anywhere he is placed. A must-have for any comic fan, put Ultimate Spider-Man into your room! Measures 53-inches tall x 34-inches wide. Ages 4 and up.